No trip to France would be complete without a crêpe or galette (savoury crepe). 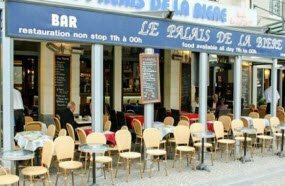 Make a meal out of it and come here, located near both the Grand Palace and Palace du Theatre you don’t need to go far out of your way for a fabulous crêpe experience! Must Try Dishes: Instead of sticking to the popular sweet crêpre, try out a savoury one. The Goats Cheese and Walnut Galatte is a curious combination that will truly melt in your mouth and remind you why France is so renowned for its food. 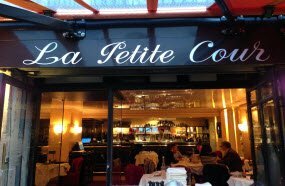 Come and eat in a restaurant that offers a true embodiment of all your favorite French movies. The rustic and well decorated restaurant will take you back 50 years as you enjoy your meal in a warm, inviting setting. You really couldn’t ask for much more! Must Try Dishes: Enjoy some tradition Shrimp Croquettes, perfectly cooked with a crunchy outside and softy and gooey inside that is sure to melt in your mouth. 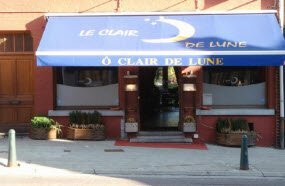 To rewind after a long days touring, Clair de Lune is the perfect restaurant, with regular singers, guitarists and pianists coming to entertain the diners and food connoisseurs alike each Tuesday and Thursday. Reservations are highly recommended. Must Try Dishes: Similarly with crepes, snails are a must when in France. Instead of eating them by themselves, try the Ravioli with snails, spinach and anise cream. 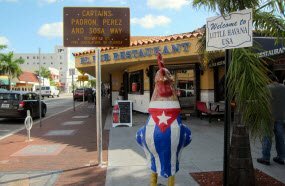 France isn’t all about wine, Little Havana really proves this, serving up some of Lille’s best cocktails, specializing in Mojitos. The extensive drink menu will have something for everyone and features a mix of the regular cocktails and some new ones and trust us, you will want to try them all. Must Try Drinks: Our favorite of the 16+ flavours of mojito is the strawberry and coconut, as they say, it really is a “duo of shock”. Never would you expect these flavours in a mojito to be quite as incredible as they are. As the name suggests, this literally is the Palace of Beer, but worry not wine-lovers, there is also an extensive list of wine, whiskies and non-alcoholic drinks. Sit either inside or out in a fresh green setting and enjoy your beer, some food, and even your favourite game on television. Must Try Drinks: Cuvée Des Trolls is a Belgium beer highly recommended by the palace. Made in a micro-brewery, it is an unfiltered beer with fruity aromas thanks to dried orange peels which are added in the boiling process. 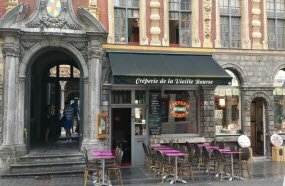 It may not be French, but Lille is the last city before Belgium, so still local. 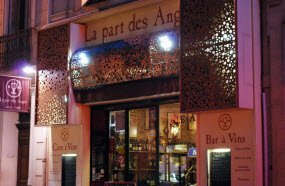 If its an extensive wine list and chic country setting you’re after, then La Part des Anges, is the place to go. Complete with mood-lighting, rustic timber furniture and five separate wine lists you will find yourself carefree and content, being waited on by friendly and informed staff. Must Try Drinks: With the wine by glass menu constantly changing depending on the season we are not able to directly recommend a specific wine. However, as France is known throughout the globe for its Champagne, we suggest asking for a glass of local champagne.